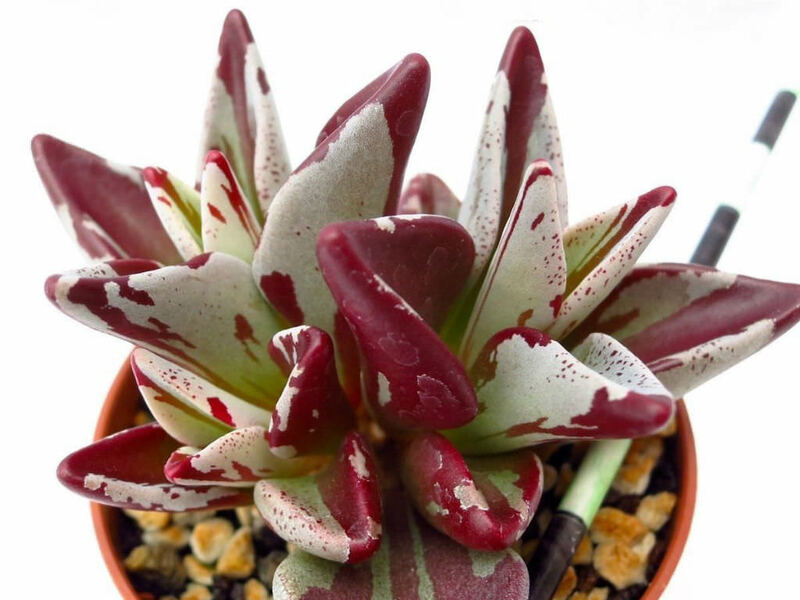 Lenophyllum guttatum f. variegata is an amazing, variegated form of Lenophyllum guttatum with bright red markings. 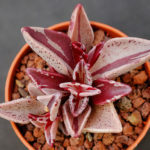 It is a perennial succulent up to 8 inches (20 cm) tall. The leaves are in opposite pairs on non-flowering shoots, crowded together, boat-shaped, up to 1.4 inches (3.5 cm) long. The flowering stems are terminal, up to 8 inches (20 cm) tall, branched towards apex with 5 to 12, green-yellow flowers. 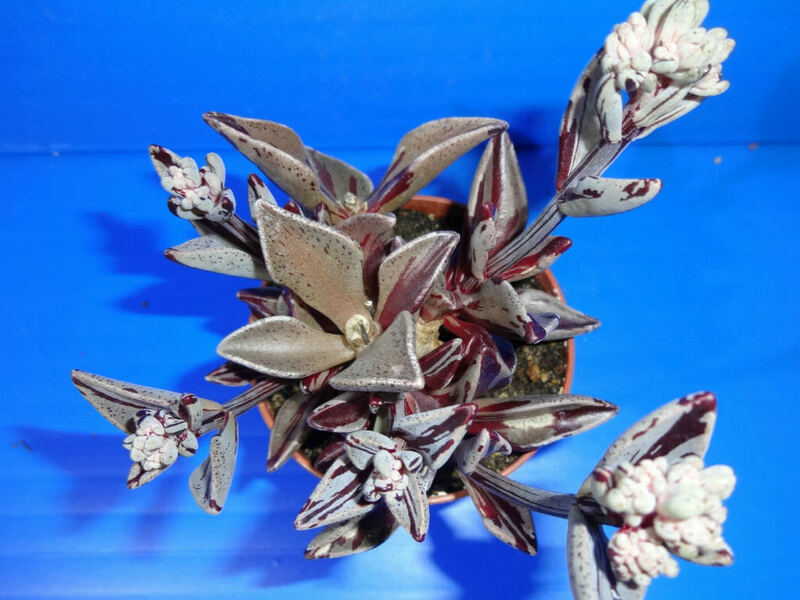 Like most desert plants, Lenophyllum is drought-tolerant and does not tolerate wet soils, especially in winter. 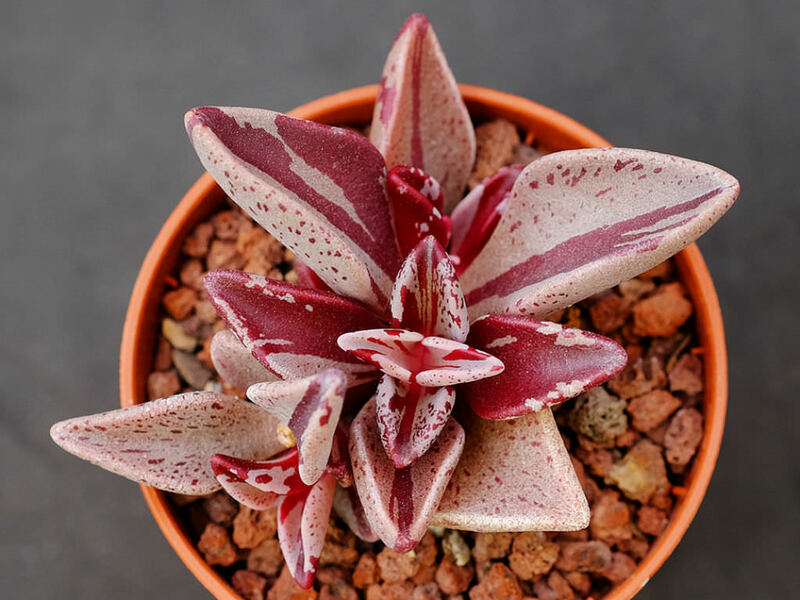 Its small tufted habit makes Lenophyllum a great plant for a southwestern-themed rock garden or container. And of course, they are great plants for green roofs. Once established, it will produce stalks with small yellow flowers. 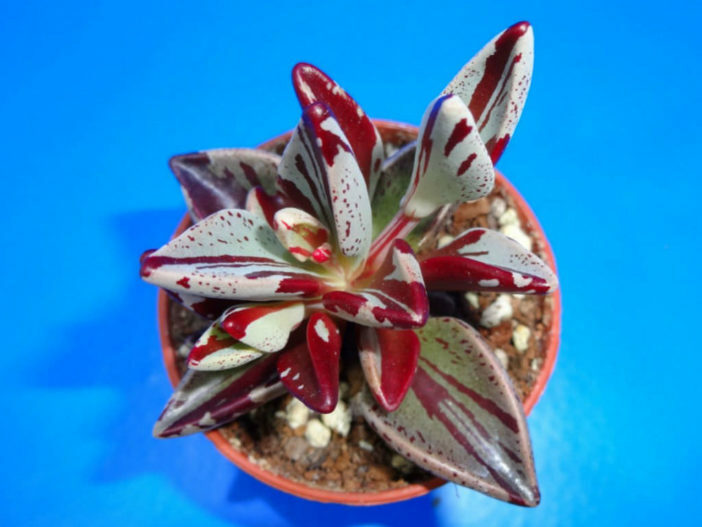 The repotting is not very practiced because it is likely to lose the ornamental aspect of the plant. Being small plants, however, is generally not necessary. Pruning is generally limited to the elimination of damaged parts. Plants of the genus Lenophyllum multiply well by seed, by cuttings or by division of the bushes. 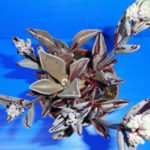 Lenophyllum is easy to propagate by simply sticking a leaf in a pot of soil. The leaf will root in and start growing with little care. 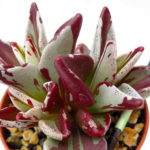 Lenophyllum guttatum f. variegata is a variegated form of Lenophyllum guttatum.